← Hurray for house elves! This is a little limited edition sculpture that I have just finished making. It is a tribute to the wonderful comic Calvin and Hobbes that I adore! It is 3.5 inches tall (including the hand turned wooden base) and will be priced at $80 on my Etsy store http://www.etsy.com/ca/shop/kylarichardssculptor on Friday November 15, 2013 at 7PM Mountain time. 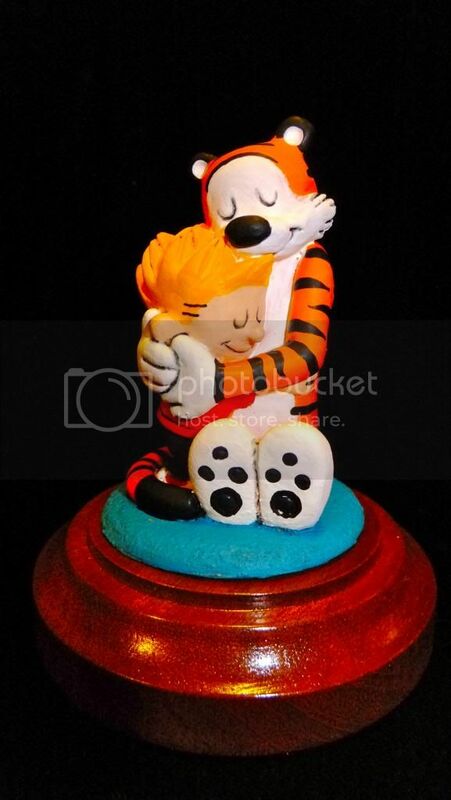 This entry was posted in Main page and tagged calvin, calvin and hobbes, hobbes, kyla richards, the hug, tiger. Bookmark the permalink.